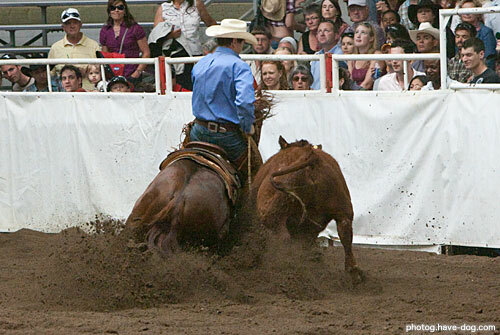 07.17.11 :: John wins his 6th Open Bridle buckle at the Calgary Stampede's Working Cow Horse Classic (pictured above, riding Maximum Echo. This marks their third CS win as a team). 2014 NRCHA Open Bridle World Champion on Maximum Echo. 9-time Calgary Stampede Open Bridle Champion: EF Pepi Cola, They Call Me Fritz, Lenasasailing, Smart Miss Wolf, Maximum Echo, Have A Drink On Me.